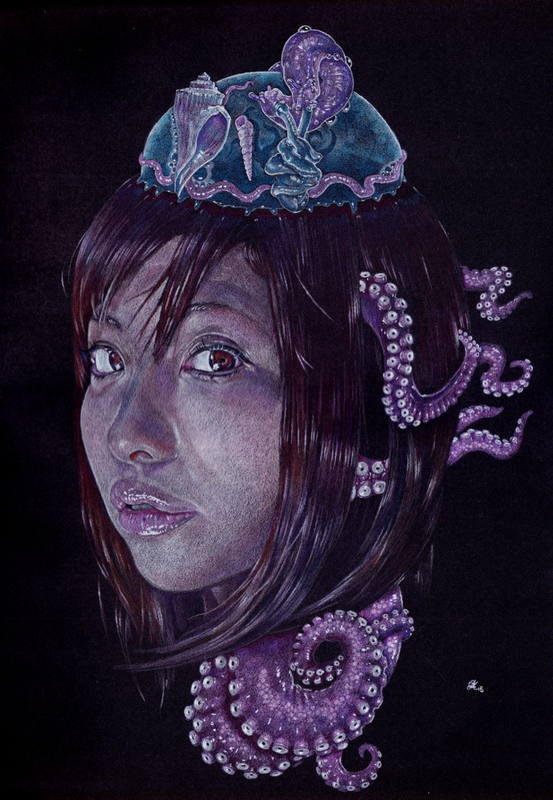 Princess, She's a pretty, going to a beautiful girl, decapitated, with tentacles extending from her neck. Or maybe she never had a body and was always just a head floating in the water, not unlike "Crabhead." 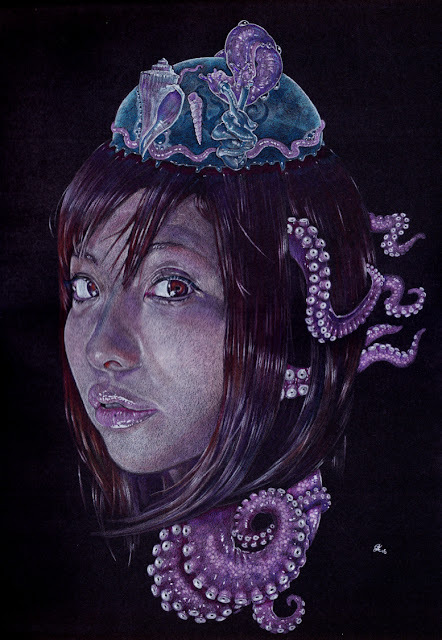 Crowned with a jelly, jellyfish like object jeweled with shells and the slugs.